Containment Protocols: RPC-255 is to be contained in a 4x3x2 meter room with wooden walls, flooring, and a wooden ceiling. The floor is to be covered with sand and rocks with a hole for water, as typical for a Eublepharis macularius habitat. Once a week, staff must enter the room a chute will be opened in the celing of RPC-255's containment to disperse various nontoxic insects into RPC-255's containment chamber, such as beetle larvae. All personnel who plan to work with RPC-255 must either be chemically castrated or receive a vasectomy. Staff who plan to stay in RPC-255's containment chamber for longer than one hour should bring standard gear for anyone staying in a desert for a substantial amount of time. wear a specially-designed protective suit made out of specially-bred wood. Due to reported incidents of abdominal pain while in the entity's containment chamber, personnel are recommended ordered to bring Analgesic medication while working with RPC-X for long periods of time. However, as this pain subsides after leaving RPC-X's containment chamber, it is not to be concerned about. 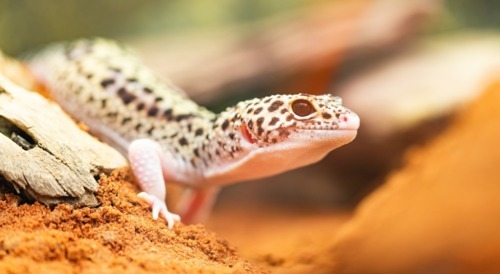 Description: RPC-255 is an entity that physically resembles a common leopard gecko. RPC-255 has a constant desert-like effect (hereby referred to as RPC-255-1) within a three meter radius of the anomaly that converts all solid materials with non-biological origins into various types of sand. RPC-255-1 anomalously generates heat, causing it to remain at temperatures consistent with northern Afghanistan. RPC-255-1 converts non-organic materials to sand in direct proportion to the object's distance away from RPC-255. Objects on the edges of RPC-255-1 take weeks to transmute, while objects touching RPC-255 directly immediately turn into sand. For this reason, genetic testing is not possible. RPC-255-1 has a second anomalous effect that activates when an organism that is not genetically adapted for desert regions enters its area of effect. When said organism enters the area, their reproductive organs will mutate via unknown means. This reportedly causes extreme pain, and the organism will produce offspring that is genetically designed to survive in the desert. Discovery: RPC-255 was discovered on 2/19/10 on a mission in Afghanistan to combat a local GoI selling anomalous artifacts. After RPC-255-1 destroyed large amounts of Authority equipment, it was eventually placed in a large wooden box and transported to Site-046 via a cargo helicopter. RPC-2255's location of discovery. The area is scheduled for disintegration on a later date. Incident Log 4/02/11: On 4/02/11, Dr. C██████'s wife conceived a child. 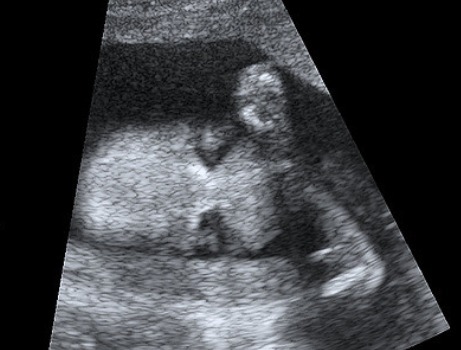 Ultrasound scans reveal [REDACTED] and that the child is maturing in an increasing rapid manner compared to normal humans. The child is to be delivered on 11/3/11, and is to be placed under constant surveillance.